Wendy stretches herself a little too thin when trying to protect her friends in this hilarious novel based on an episode of the hit Disney Channel show Hotel Transylvania: The Series. Talk about a sticky situation! When Dr. Gillman saves Wendy’s life she feels forever indebted to him. Actually, all he did was remove gum from her ponytail but she is super grateful nonetheless. Wendy’s selfless nature plus the Blob family’s code of honor compels her to be by his side 24/7 until she finds a way to save his life. The good doctor prefers to fly solo, so he turns to Mavis. Surely she’ll know what to do. Mavis is happy to help, but her scheme doesn’t exactly go as planned. Before long Wendy is racing around trying to save everyone at the hotel. In doing so she literally spreads herself too thin—attaching blobettes (mini versions of herself) to whomever she encounters. 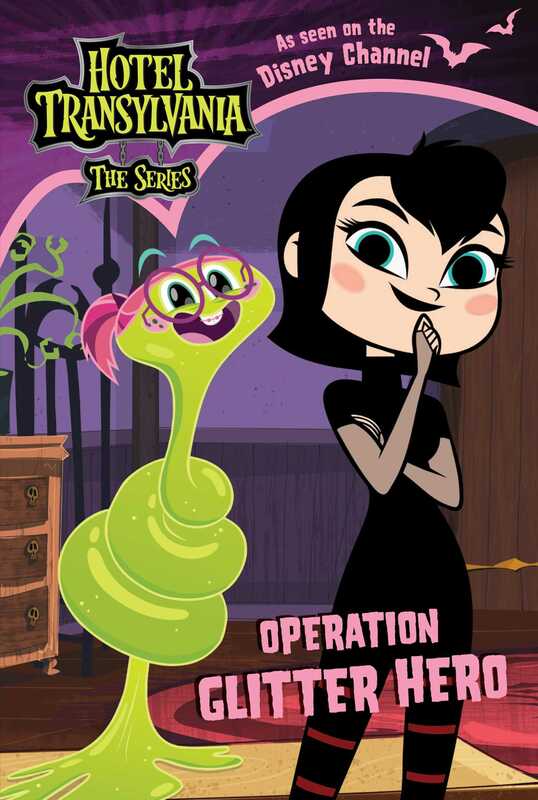 Will Mavis figure out a way to restore Wendy to her whole, adorable self?